The SecureCash Deluxe/Deluxe Plus under-counter note deposit system automates and processes low to moderate volumes of cash, delivering increased security and efficiencies in daily transactions. Perfect for retailers seeking to reduce cash exposure, while improving security for staff and customers. Deposit: Automatically validate, register, count and deposit bundles of up to 30 notes. 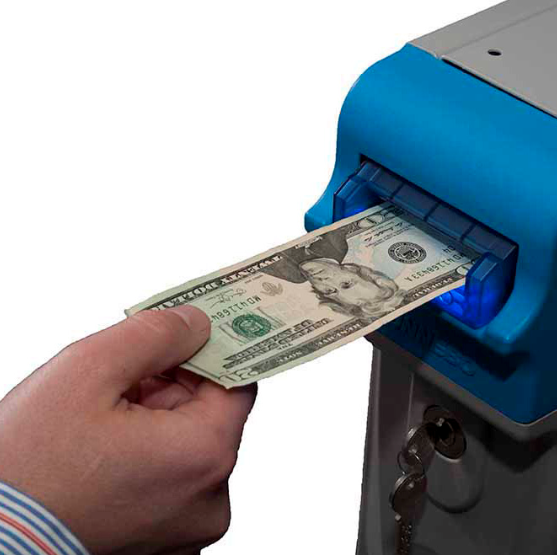 Note Acceptors: One or two note acceptors available for faster cash processing. Security: Increase security and efficiencies. 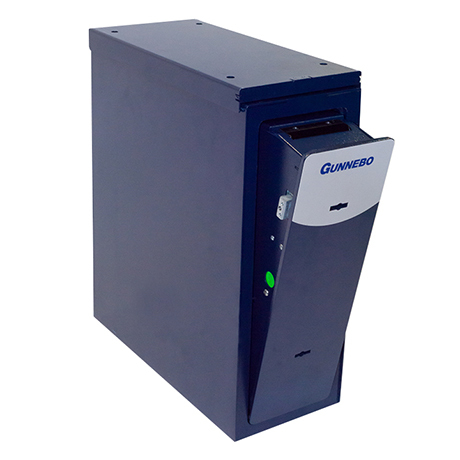 Scan multiple bundles of cash for denomination, identify counterfeit bills, and count and deposit up to 2200 notes utilizing cassette devices. Processing: Sidecars and pedestals available for higher volumes of cash processing. Track & Trace: Track cash flow in real-time. 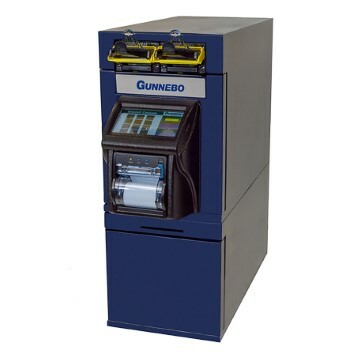 Know the machine's cash levels in real time with Gunnebo's web-based CashControl monitoring software. Ensures full transaction transparency at all times. Optimize CIT Service: Grant CIT partners access to cash-level data for optimal route planning and pick-up times.